Insurance companies don’t want to pay for your losses – they want to maximize their profits! Pay only when you win. When you experience a covered loss, you expect the insurance company to pay for it. After all, that was the whole reason you bought insurance in the first place. But – remember – insurance companies are businesses that profit most when they don’t have to pay you for your loss. Make sure executives get maximum compensation. The top insurance company CEO made $15.6 million in 2014. That’s why the language in the contracts you sign with these companies is so complicated. It’s drafted to give insurance companies a legal reason to not pay your claim. It helps explain why so many claims get disputed or denied and sometimes end up in court. Insurance companies don’t want to pay for your loss because when they do, they lose profit from their bottom line. That makes shareholders and executives angry. As you can see, even though you are often legally required to purchase insurance carriers do not exist to do “the right thing.” Even worse, Missouri law is written to favor insurance companies, not consumers like you. You need experienced bad faith insurance lawyers with a proven track record of success on your side. What is Bad Faith Insurance Law? Your own insurance company didn’t have a “reasonable basis” to refuse to pay your claim or full extent of your damages or failed to properly investigate your claim in a timely manner. If your insurance company acts in bad faith you have the right to file suit against your own carrier. Remember: Third-party carriers (for example, the insurance company for a motorist that hit you) owe you no duties whatsoever. They can deny your claim even if it’s unreasonable to do so. They can delay your claim all they want. Fortunately, you can sue the insured individual or company in third-party cases. When insurers misbehave, or decide they want to see if you’re going to take action against them, you need experienced attorneys with proven legal expertise on your side. Shane’s father, Regis Mullen*, used to work for Allstate, so he knows how large insurance companies work and has passed that knowledge on to the other attorneys in the firm. Contact us online today, or call 314-465-8733 (314-INJURED) for your free consultation. It’s just a friendly conversation to see how we can help you. There’s absolutely zero pressure to hire us on the spot. 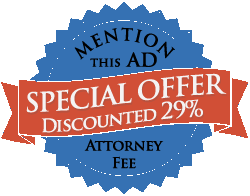 And you only pay a fee when we win your case.